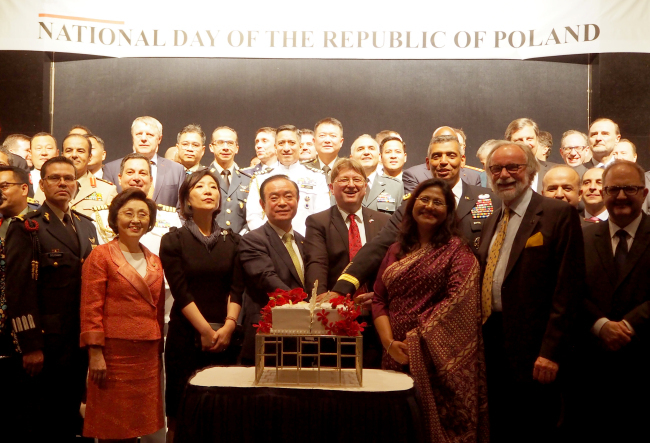 The Polish Embassy in Seoul last week marked the birth of the country’s modern supreme law, the May 3 constitution of 1791, which rooted Poland in the course of modern development and gave the country the legal foundations of a democratic constitutional monarchy. The second of its kind in the world following the US constitution of 1787, the supreme code introduced political equality between townspeople and nobility by placing peasants under government protection and mitigating undue abuses of serfdom. This year’s celebration coincided with the centenary anniversary of Poland’s re-emergence and independence as a sovereign state, the Second Polish Republic, from more than a century of partitions by the Austro-Hungarian, German and Russian Empires. The Central European nation enjoyed freedom for just over two decades from 1918, until being jointly invaded by Nazi Germany and the Soviet Union in 1939 at the onset of World War II. The brief period of sovereignty is known as the Interbellum. “This year marks the 100th anniversary of our regaining of independence. 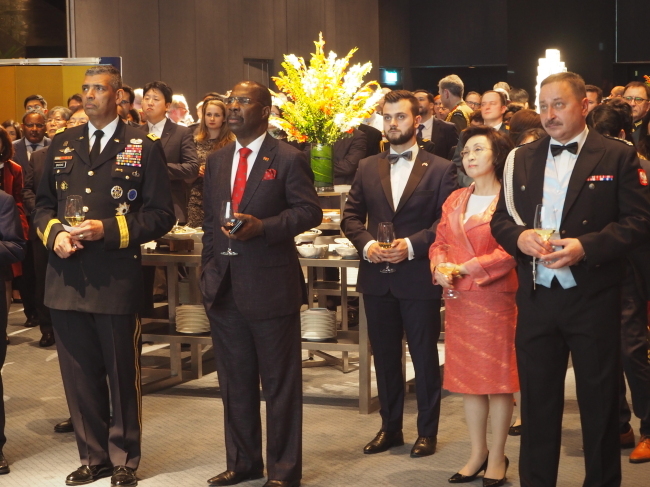 It was in 1918 that May 3 became our National Day,” Polish Ambassador to Korea Piotr Ostaszewski said in a speech Thursday. Next year will mark the 30th anniversary of diplomatic relations between Warsaw and Seoul, “a country so well known in Poland and so close to all Polish people,” he said. Beginning in the late 1980s, Korea established diplomatic relations with countries of the former Soviet Bloc, part of its policy of diplomatic outreach and detente known as the “Nordpolitik.” Poland and Korea established diplomatic ties in 1989, and became strategic partners in 2013. The Korean speaker of the National Assembly, Chung Se-kyun, paid a visit to Poland last October, and Polish President Andrzej Duda came to Korea officially in February during the PyeongChang Winter Games. Poland actively supports the peace endeavors declared by the two Koreas following their historic summit on April 27, the envoy said. Along with Switzerland and Sweden, Poland has been a member of the Neutral Nations Supervisory Commission, a security organization created from the Korean armistice agreement signed on July 27, 1953, and entrusted with holding inspections and investigations to prevent military reinforcements from being brought into the Korean Peninsula. The direct flight connection between Warsaw and Seoul by the Lot Polish Airlines is a symbol of the growing bilateral cooperation over the last 29 years, he added. Oh Young-ju, the Korean Foreign Ministry’s deputy minister for multilateral and global affairs, said in a speech that whereas previously the two governments steered their partnership, nowadays the peoples are leading the way. More than 25,000 people from both sides visit each other’s countries each year, aided in large part by the new direct flight and increasing mutual awareness through business, culture and education. Once the Korea-Poland Working Holiday Agreement comes into effect this year, the number, particularly among youths, is expected to increase sharply, she said. “I look forward to Poland, a nonpermanent member of the United Nations Security Council and key member state of Central Europe’s Visegrad Group, playing an important role for the peace and prosperity on the Korean Peninsula and progress of inter-Korean relations,” Oh stressed. 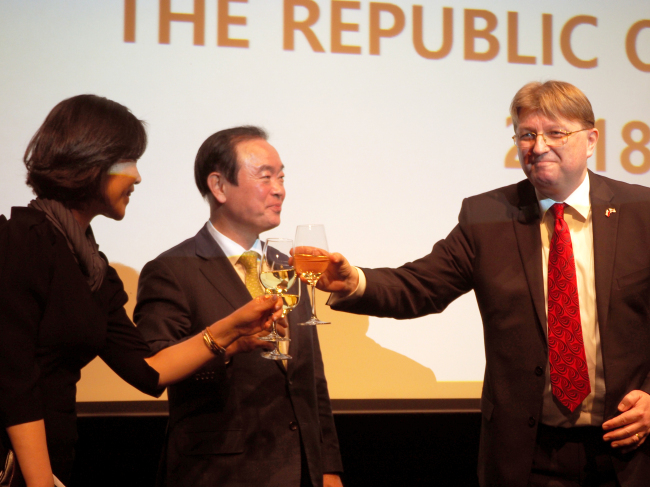 Poland is Korea’s largest trade partner and top investment destination in Central Europe. The two economies’ trade volume reached $3.7 billion last year, and the aggregate Korean investments there exceeded $2 billion on the back of some 200 Korean enterprises operating in Poland’s market with gross domestic product of $614.2 billion.